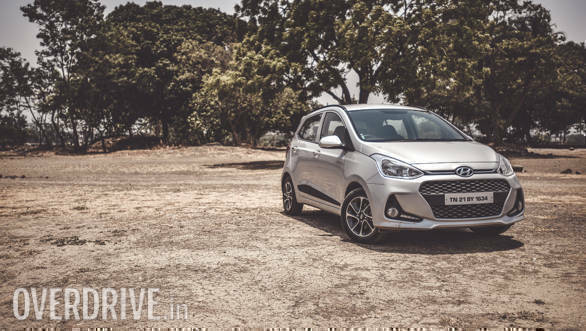 Hyundai India gave the Grand i10 a much-needed facelift recently, and we were quite impressed with its diesel variant during our road test. The car you see here has the revised 1.2-litre Kappa petrol motor which promises better driveability and fuel efficiency. Is it true? 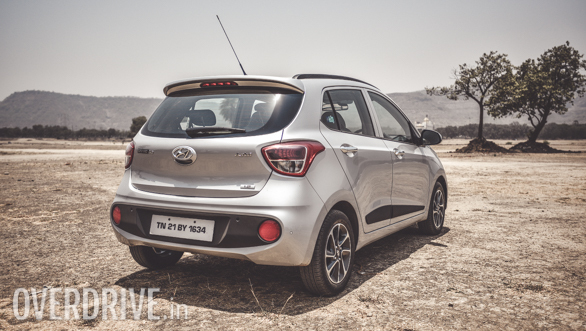 Subtle is the word that describes the difference between the previous and the new Grand i10. The fluidic design language has worked wonders with all the current Hyundais, and the 2017 Grand i10 is no exception. The front and rear bumpers receive minor tweaks, and despite what my colleagues think about the black cladding on the rear bumper, I think it looks quite nice and also helps break the monotony. The diamond-cut alloy wheels look great too, and overall the design would appeal to most. The interior feels premium thanks to the quality of materials and the layout. That said, I wish the front seats had adjustable headrests, as tall drivers would find the support offered by the fixed headrests a tad inadequate. The rear seat occupants, however, get adjustable headrests. 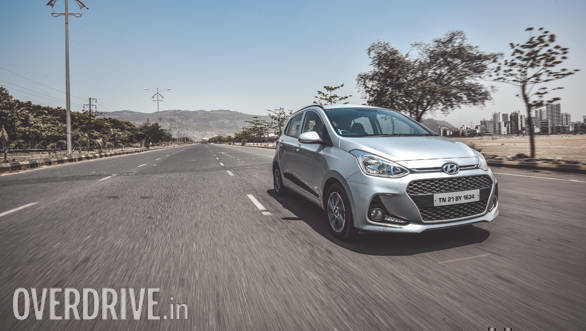 Hyundai has tuned the 1.2-litre Kappa petrol motor in the new Grand i10 to improve driveability as well as fuel economy, and our tests corroborated this claim. The 83PS, 113Nm motor is refined and revs quite freely to the redline, accompanied by a nice exhaust note. Progress through the gears is quick and we clocked a 0-100kmph time of 12.9 seconds. Though performance is unchanged, the improved driveability allows you to hold the car in higher gears at city speeds, without any signs of protest from the engine. 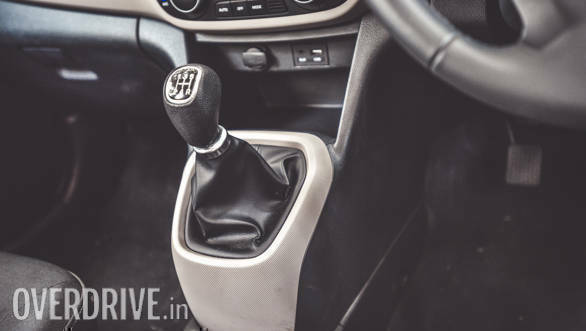 Between 50-60kmph in fifth gear, the revs are at 1,500 rpm only, and a slight dab at the throttle results in enough surge to pull an overtake, without having to shift down. 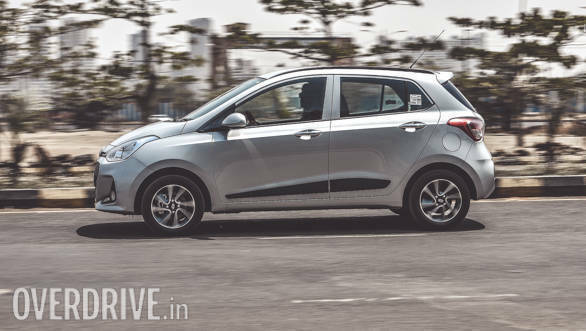 The improved driveability has resulted in an increase in fuel economy as the new Grand i10 returns 15.6kmpl in the city, up from the 13.2kmpl that the previous car delivered. The highway efficiency though remains the same at 20.2kmpl. 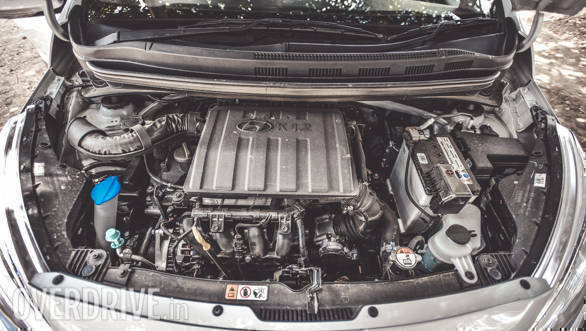 The car feels quick in city environs and you'll only find it running out of steam once past 140kmph on the highway. That said, the performance is adequate for the car's intended use. 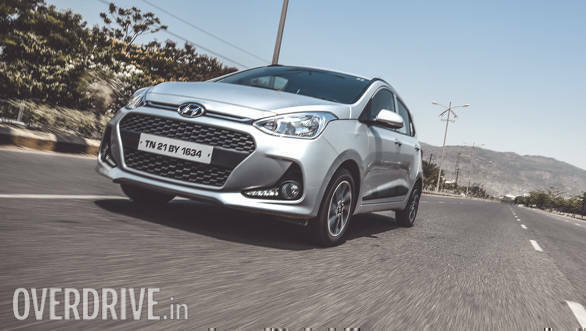 Hyundai has tweaked the suspension of the new Grand i10, and boy what a difference it has made. Show the car a set of bad roads and it gobbles up all of it without breaking a sweat. Potholes and undulations, particularly, are absorbed with only a muted thump entering the cabin. Coupled with good NVH characteristics, the ride in the new Grand i10 is surprisingly well damped and quiet, unlike the loud thuds that you hear in some of Maruti Suzuki's small cars. 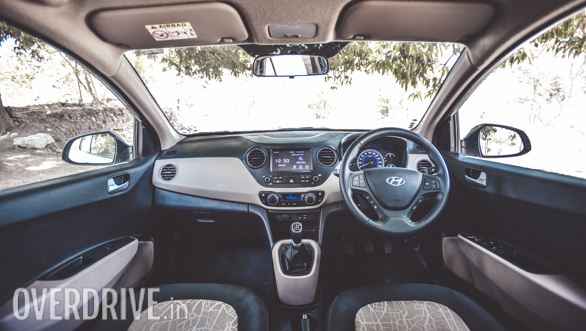 The ride quality clearly feels akin to a bigger car, and this surely is one of the Grand i10's biggest plus points. The changes to the suspension have also resulted in improved handling, although the soft set-up does result in slight body roll when you push the car around the bends. However, it is not scary at all and I was very impressed with the car's grip levels and ability to stick to an intended line. The one aspect that Hyundai could have improved is steering feedback at high speeds. I wish it weighed up a little more which would have elevated the driving experience to quite an extent. That said, I remember how numb the steering felt in the previous car, so the improvement in this unit is more than welcome. The brakes offer a strong bite and pedal feel is quite firm too. However, some may feel the bite is a bit too sharp at low speeds. Personally, I like the set-up as it feels quite reassuring in an emergency stop. Our brake tests saw the car come to a standstill from 100kmph in 3.1 seconds, covering 42.7 metres in the process. The Grand i10 has always been a car that had value for money written all over it. In this 2017 avatar, the car offers a nice combination of good looks, features, ride quality and a refined petrol motor. It's a pretty good city car and quite capable to handle highway runs too. At Rs 7.84 lakh (on road, Mumbai) for the top spec Asta variant, the car presents itself as a great value proposition, even now.